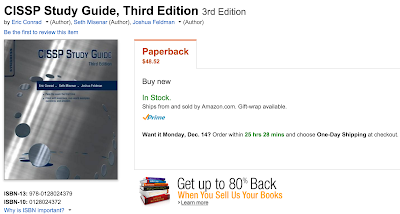 Just a note to say the CISSP Study Guide 3E is in stock and shipping from Amazon. 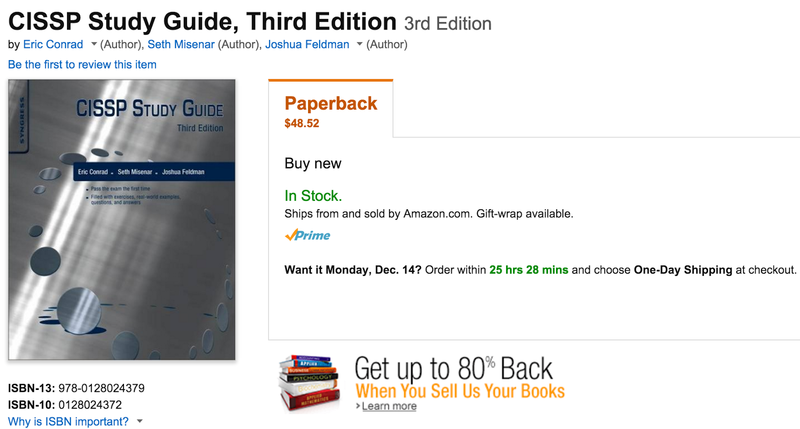 Electronic editions should be available in January. We are working on the 11th Hour CISSP Study Guide update now, chapters are due by April (but I hope to have it done before then).